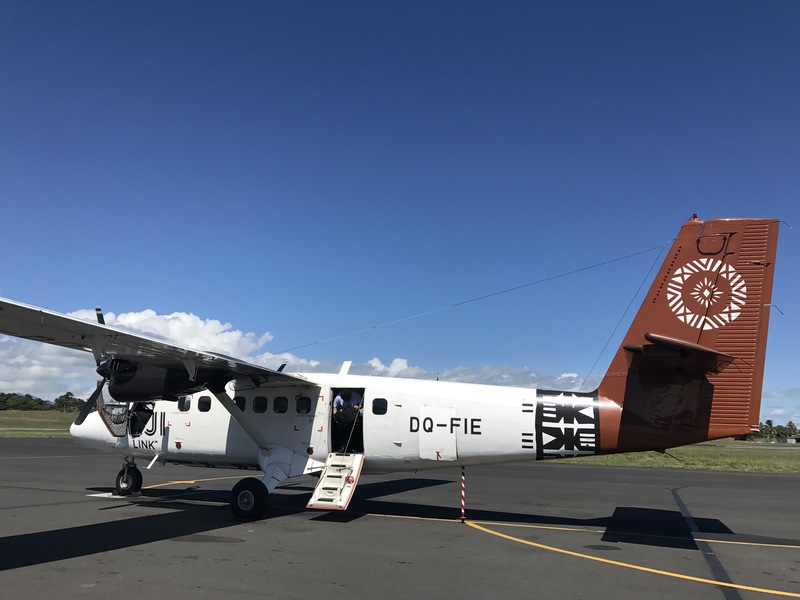 THIS jaunty journey begins at Fiji’s major airport of Nadi, aboard a stiflingly hot, crowded, 16-seater plane. Regular followers of The Global Goddess know that she finds small planes about as appealing as Brisbane blokes. Some days they turn up, others they don’t. They’re often late, are prone to leaving you stranded in a remote locale, and when things get bumpy, it’s unpleasant. On this occasion, just as we’re about to take off, the avionics screen goes blank (a little like a Brisbane bloke) and we taxi back to the hangar. 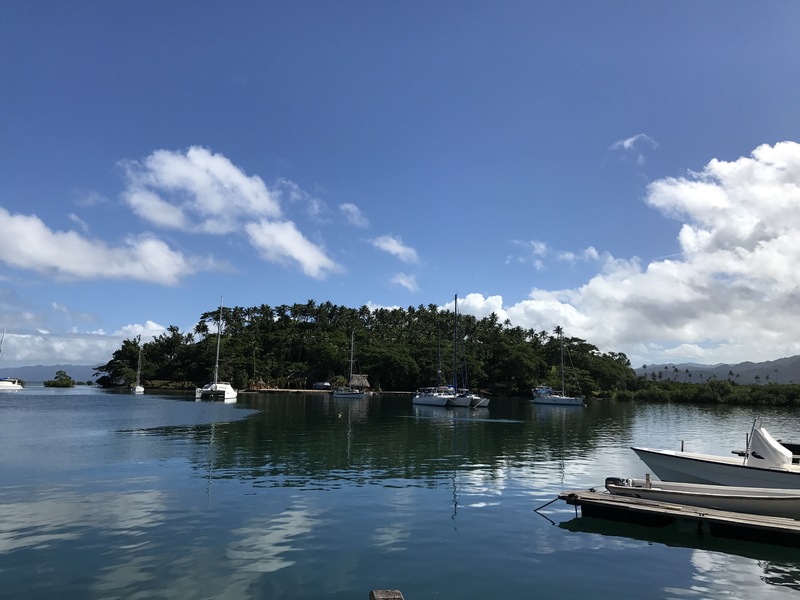 I should point out I’d rather this scenario occurs on the ground, than when we’re in the air, and an hour later we’re back on board enroute to the remote northern island of Savusavu, via the capital of Suva. On my Suva stopover I meet two colour characters: a bubbly blonde from Hobart who is off to a health retreat at which, she has been told, she will be handed a snorkel and a horse for the week. The Hobartarian confesses the retreat follows a heavenly hedonistic week in Las Vegas which ensued after she and her brother won a significant sum of cash at Hobart’s casino, departed the gambling den at 2am, and boarded a flight to Vegas with their winnings, four hours later. It was only halfway across the Pacific Ocean, when they started to sober up, did they realise what they were actually doing. Suffice to say, she needs that horse and snorkel real bad. The other character is a young man from Utah who proudly informs me he hails from a Trump voting state. “Gawd,” I sputter, “but you didn’t vote for him, did you?” The coy look on this young man’s face teaches me a very valuable lesson: That I should never again ask an American that question (I mean, clearly, yet inexplicably, someone voted for him) and I board my next small plane flight convinced I could die next to a Trump supporter. Or worse, be stuck on a life raft out in the middle of the South Pacific, with one. I think I need a horse and snorkel. I arrive safely in Savusavu for the wedding of my lovely friend Saskia. We met three years ago, in Fiji, just as we she was about to head to a remote island for some voluntourism work. 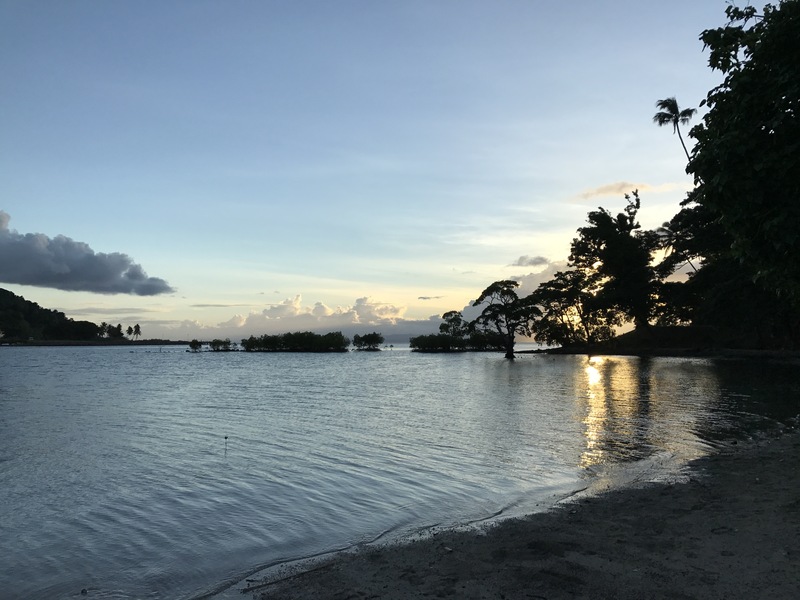 Over breakfast, we were bemoaning the lack of decent dates back in Australia when a mutual friend walked past, heard Saskia was off to this particular island, and mentioned a dive instructor called Pauliasi who worked on that island. One day Saskia wandered down to the dive centre, met Paul, and they fell in love. You can date every bloke in Australia and your soul mate might just be sitting out there in the South Pacific somewhere. 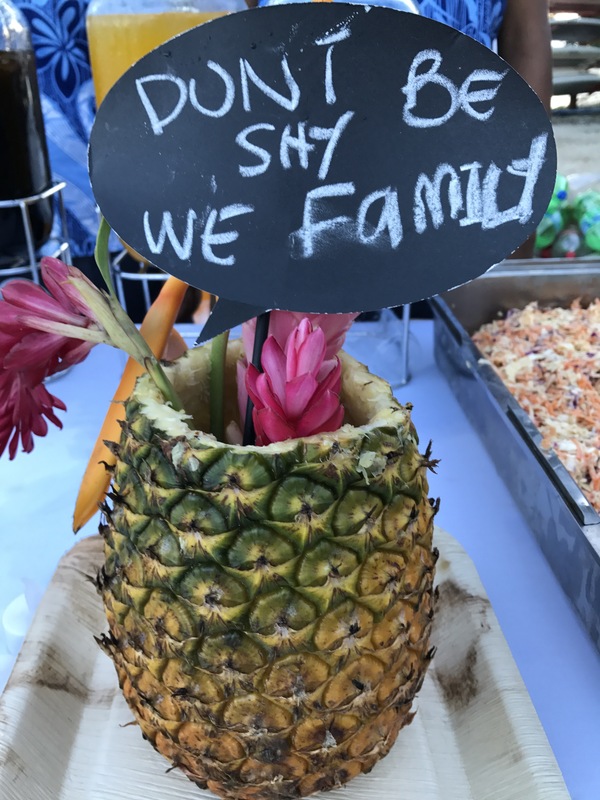 And so, on the finest Fijian Friday, they wed. 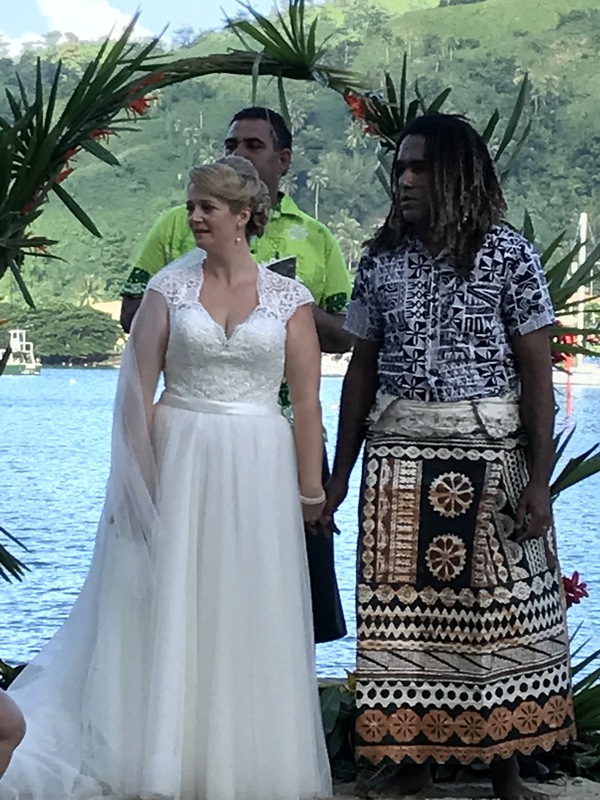 The bride, channeling all of the elegance of Grace Kelly and the groom, mustering that handsome strength of a Fijian warrior. I stand under the stars and thank the full moon for this amazing opportunity. 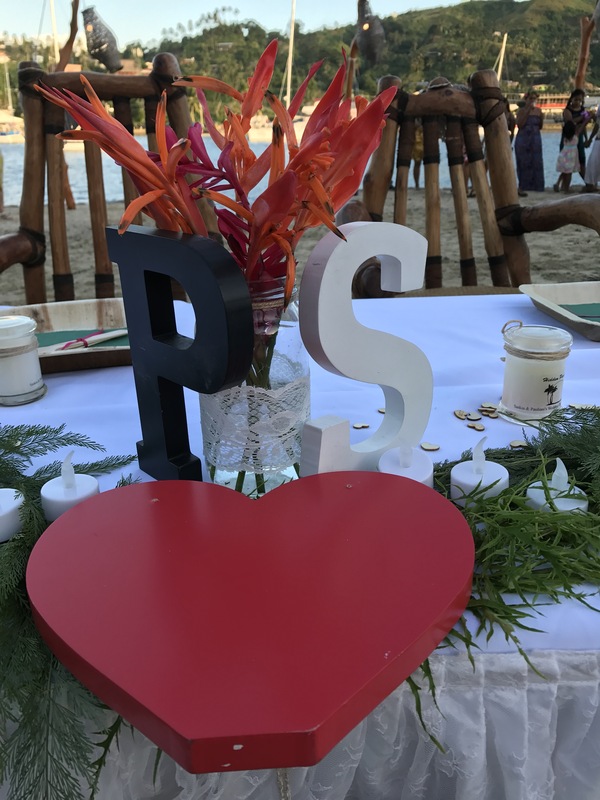 I get to do a lot of cool things in my job, but you can’t buy entry into a traditional Fijian wedding of two people you love. We all wept. We all danced in the sand to a live band. On the dance floor I was accosted by a Fijian man who introduced himself as Solomon and who offered to show me around the island. He kissed me on the cheek and then he disappeared into the night, never to be spotted again. Minutes later I was introduced to Sonny, one of the Fijian relatives to whom I suspect I had been promised in marriage. We shook hands and then Sonny declared he was off to “get drunk.” I have that effect on men. 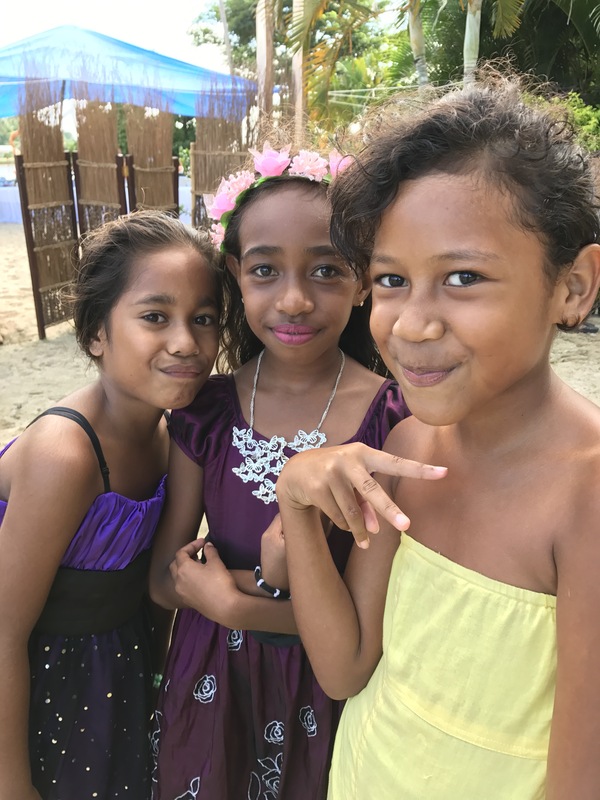 It was only two days later, over breakfast, that Pauliasi told me that there were scores of Fijian men at the wedding approaching him to ask about the blonde woman on the dance floor (me) and trying to muster the courage to approach her. Opportunity lost, fellas. 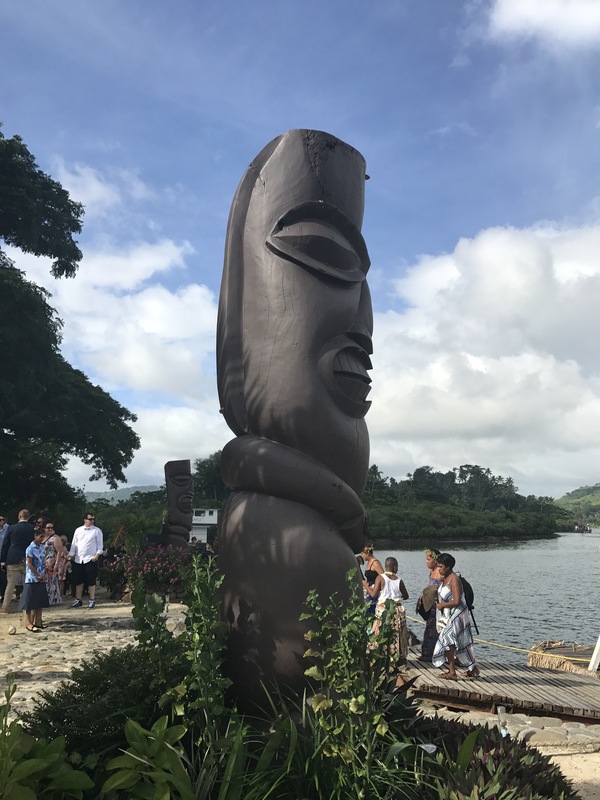 Later that night I arrived back by boat from the wedding venue with three other Aussies, all of us in search of a cab on this remote Fijian island. A clean-cut bloke pulled up in his ute, admitted he wasn’t a cabbie, but offered to drive us to our resort. At the other end, we offered him money, be he politely declined. I really need to find me that horse and a snorkel. Beautiful! And I loved your descriptions of the bride and groom. Gotta love a love story like that. They looked amazing! And such a great story to witness from start to fruition. Lovely and what fun to be part of the family wedding. It really was such an incredible experience. Loved your story of love and the characters you met along the way. And seriously who wouldn’t want to meet someone who wins money at a casino then flies to Vegas four hours later? You couldn’t make that stuff up! Thanks Jenn. These gr eat characters always seem to find me!